name: Aitziber / age: 27 / profession: cultural worker & filmmaker / location: barcelona / weekday: monday / reference: october 21st: electric breakdown for 2 days at my apartment in Barcelona. 45 square meters attic in the old part of the city for 441€/month, half of my wage including the expenses. The electricity was never renewed and i thought the breakdown was due to its age. 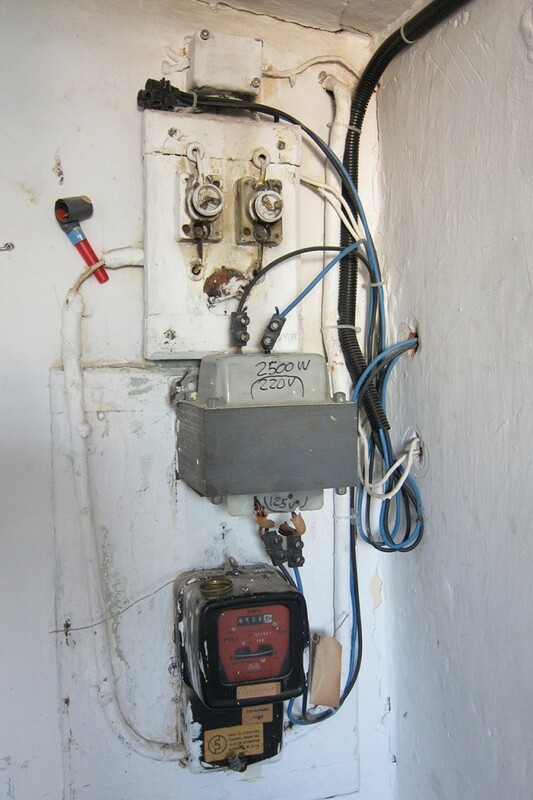 i was afraid of calling Fecsa -the electric company- since they have no record of the existence of this electric system at this address and i´ve never paid any bill. julio, the owner of the bar downstairs came to have a look at it and also youness, a friend. i thought i´d have to pay for a new installation in order to fix it and have light again. 2 days later, pablo, the neighbor from the 1st floor knocked my door to ask me if i had light. we called the real state emergency telephone and surprisingly a man came two hours later to fix the electric box at the entrance of the building. he said that the electric system was too old and could burn at any moment. this was the last of many problems that the apartment had given me, so i decided to leave 10 days later. I’ve also migrated to the Netherlands.